[Nate]: For me, growing up in Southern California, with Disneyland right in our backyard, I have no shortage of my own memories throughout my childhood and high school years: sitting in the front booth of the ice cream shop on Main Street watching the Main Street Electrical Parade go by, riding along in the “monkey” cage of Casey Jr.’s Railroad, watching my brother plug his ears and cover his eyes because he was too afraid of the Indiana Jones ride, reciting the pre-recorded message in the “stretching” elevator of the Haunted Mansion (“Is this haunted room actually stretching? Or is it just your imagination?”)...the list goes on and on. [Rachel]: Growing up in New England, I wasn’t able to experience Disney nearly as often as Nate, but Disney characters and stories played a huge role in my childhood, and my family was fortunate enough to make an almost yearly trek down to Orlando to visit Disney World. It was, and still is, a truly magical place with memories that I will always cherish: that all-too-familiar smell of the Polynesian Hotel where we often stayed, the feeling of riding the monorail up to the front gates of the park, meeting our favorite characters during breakfast at the Crystal Palace, screaming our heads off at every twist and turn on Thunder Mountain, and now, as an adult living in Los Angeles, making new memories at Disneyland. For one man, Richard Kraft, those childhood memories of Disneyland grew into something entirely different. When his brother passed away 25 years ago, Kraft turned to Disneyland as a means to reconnect with his brother, and the memories they shared at the park. Experiencing Disneyland on this deeper emotional level sparked a new passion. 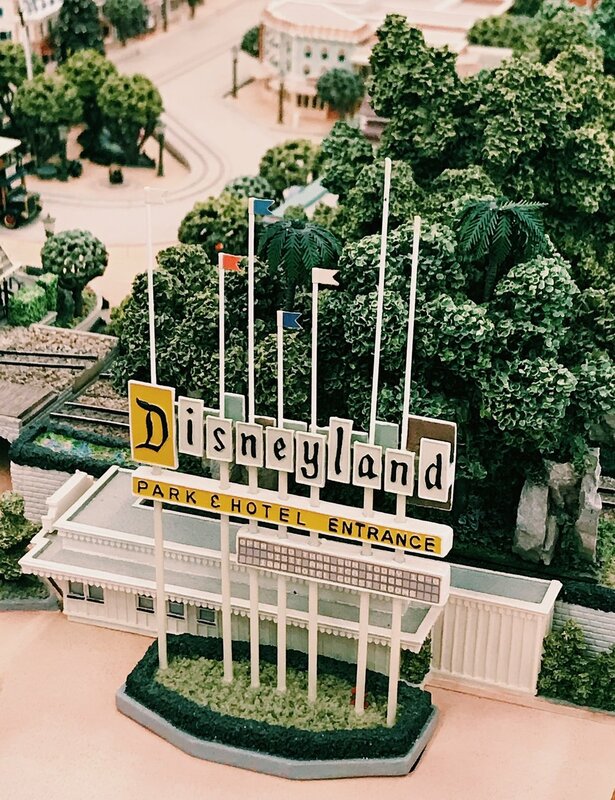 Kraft began accumulating an array of Disneyland memorabilia, seeking out increasingly rare and unique items to add to his collection. Soon, his home, office, and storage units were overflowing with Disneyland artifacts, some dating back to Disneyland’s opening day in 1955. The free pop-up exhibit has taken over a former Sports Authority store in Sherman Oaks to showcase the decades worth of memorabilia that will hit the auction block on August 25-26, 2018. A portion of the proceeds from the auction will benefit two charitable organizations close to Kraft’s heart: the Coffin-Siris Foundation and the CHIME Institute: Early Education Programs, both supporting children with disabilities. The exhibit itself has a truly impressive range of items that span the 60+ years since the park first opened its gates in Anaheim, CA. 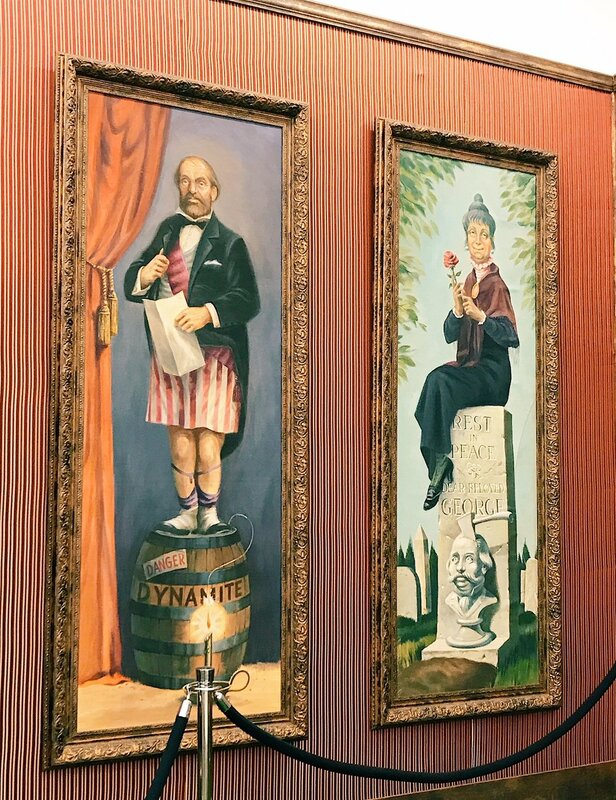 In addition to various ephemera—concept art, employee handbooks, restaurant menus, faux travel posters from the different “lands” throughout the park, programs, and brochures—the exhibit even includes parts of the rides themselves. 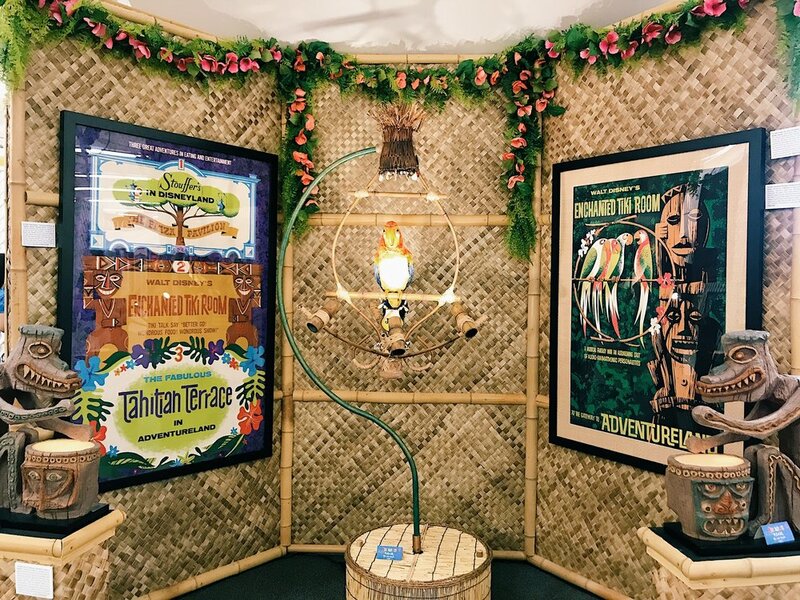 Included in the collection are four of the original “stretching” paintings from the Haunted Mansion, a Matterhorn bobsled, a flying elephant from the Dumbo ride, dolls from “It’s a Small World,” and a refurbished and fully-animatronic tiki bird, “Jose,” from the Enchanted Tiki Room. 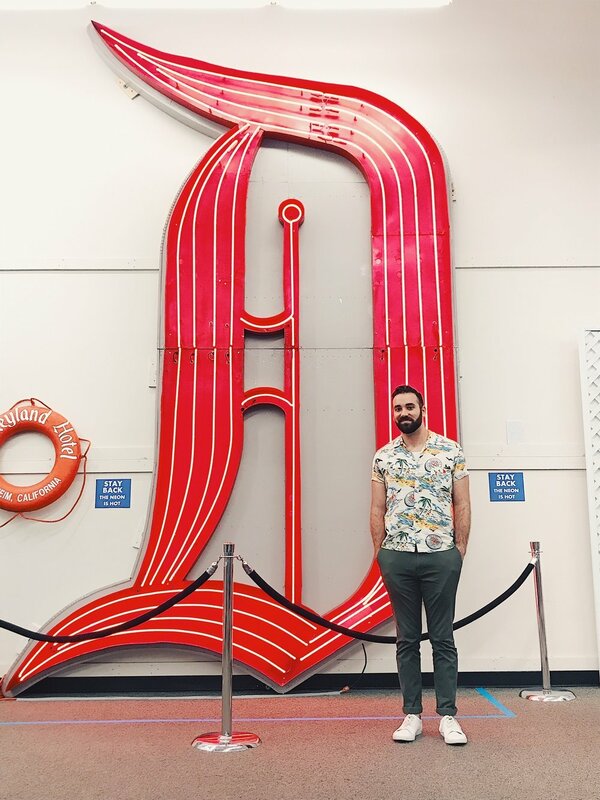 There is even a giant neon “D” that once adorned the exterior of the Disneyland Hotel. The only thing missing is a Dole whip stand! For those of us who just don’t have room in our apartment for one of the Fantasyland Skyway Buckets, there is also a gift shop selling some smaller items, art prints, and souvenirs from the exhibit. “That’s from Disneyland!” is well worth the visit. And while it’s not Disneyland, we promise that you will still get to wait in line alongside many Disney enthusiasts, and Kraft personally greeting the throngs of visitors excited to oogle his collection. What started out as a means to stay connected to his brother has, 25 years later, truly brought a community of Disney lovers together. The pop-up exhibit is located at 13730 Riverside Drive in Sherman Oaks, and is going on now through August 24 (and it’s free)!